It seems that London’s recent trend over the last few years has been to have “no reservation” restaurants. This is great for a spontaneous day out but not so great when you have to queue up for two hours just to get a table! Although I have and will happily queue up to get something tasty to eat, I’d much rather prefer to book a table in advance and not wait around. 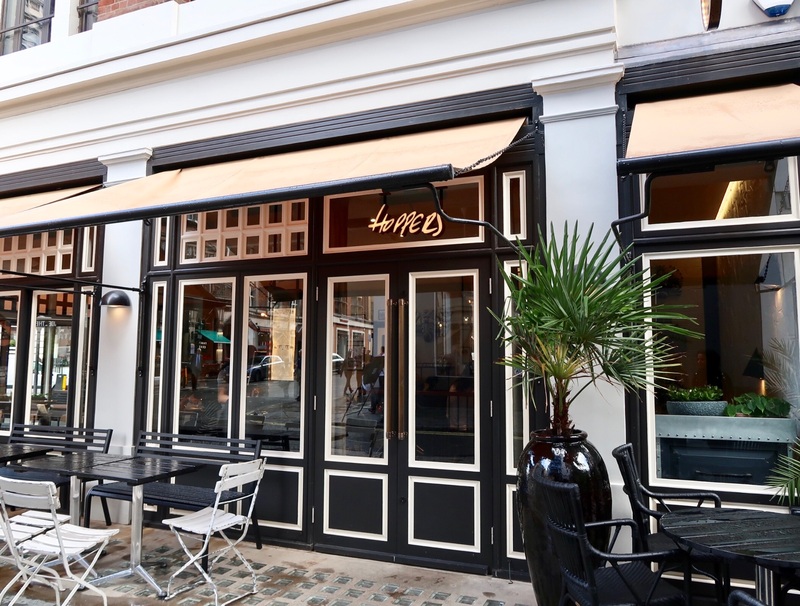 So when Hoppers, one of my favourite restaurants in London announced that they’d be opening a new bigger venue in St Christopher’s Place, that takes bookings, I was incredibly happy! It opened last night and I quickly snagged a table today for lunch with my friend Nadia! 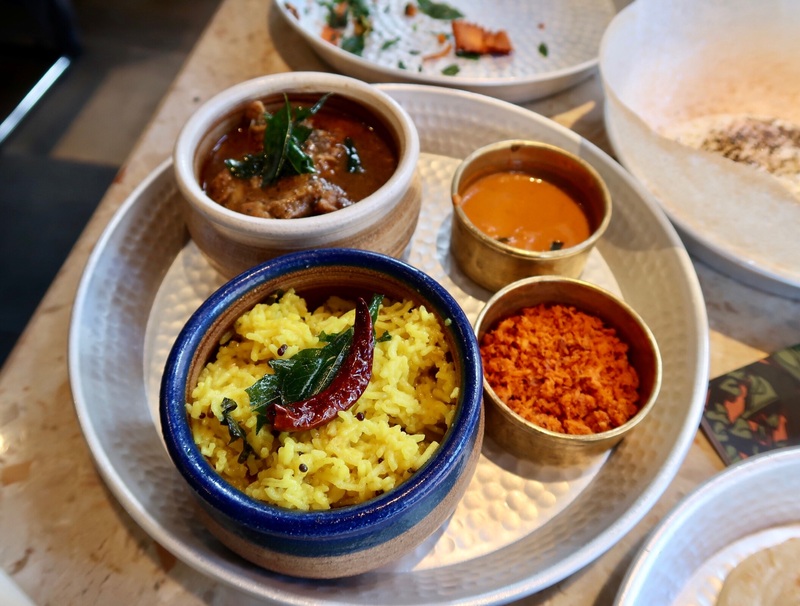 Hoppers serves up a wide range of Sri Lankan food. All the lamb and chicken is halal. I was expecting little chunks of fried shrimp but these were basically shrimp flavoured crisps with a spicy dipping sauce. They were great to nibble on while we waited for the rest of our food. 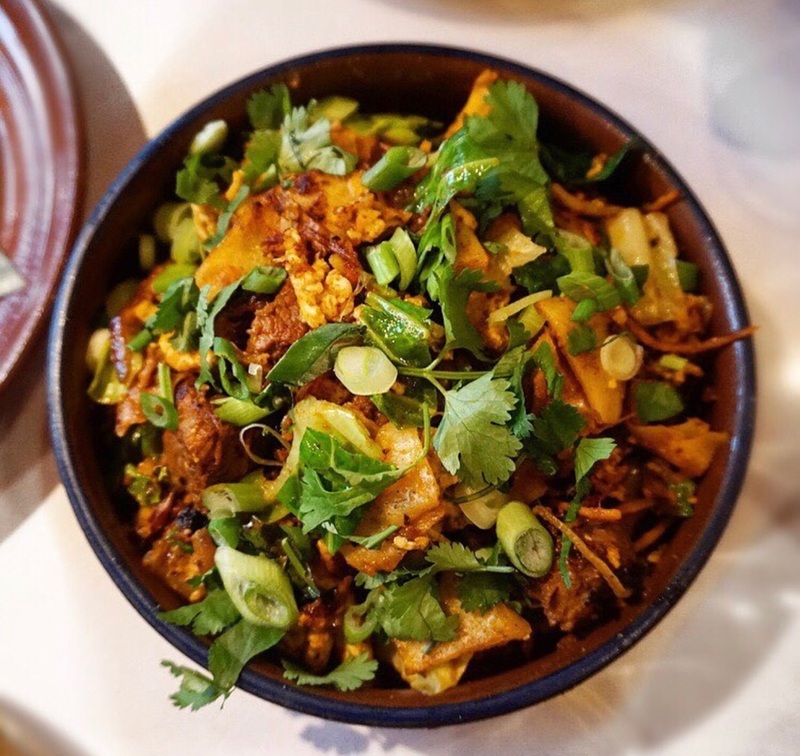 The lamb kothu consists of roti, egg, lamb pieces, spring onions, grated carrots and coriander all mashed up into a beautiful dish! 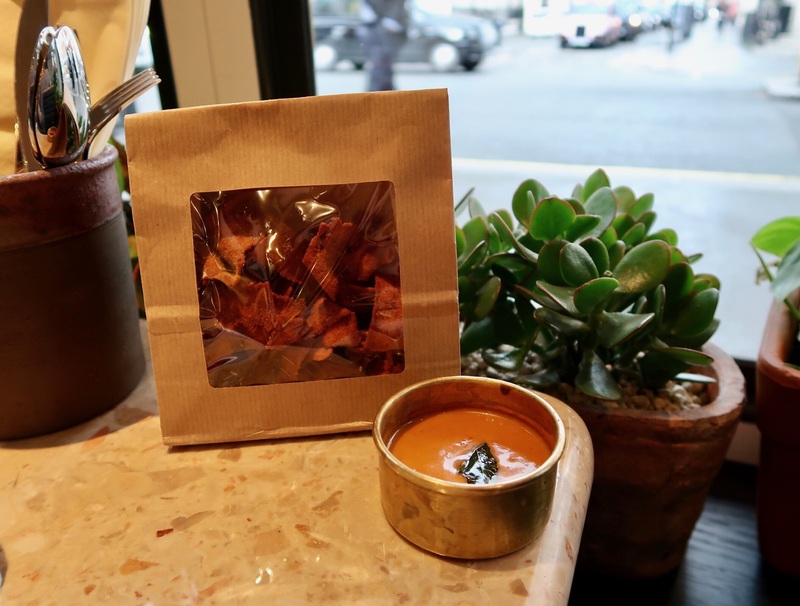 It’s full of flavour, super addictive and it’s my favourite item to order at Hoppers! Definitely recommend it. 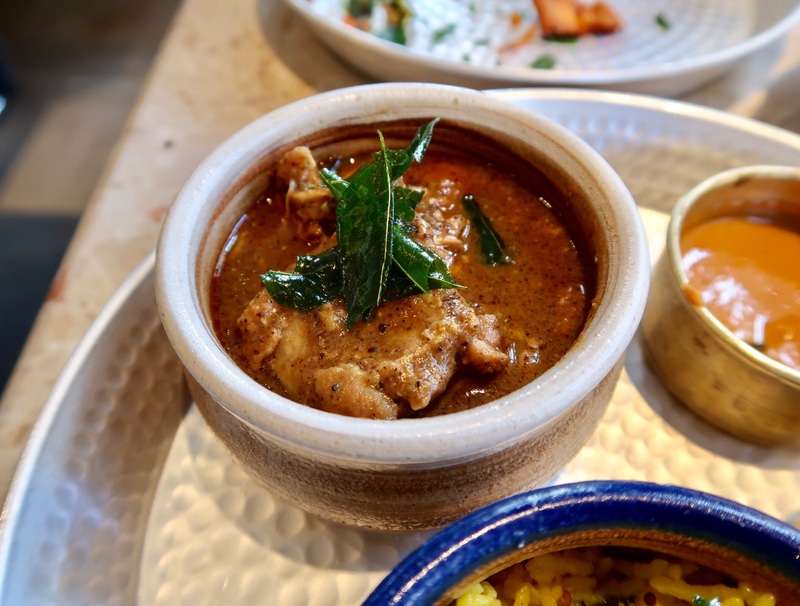 We were excited to try Hoppers’ chicken curry which was thick, rich and had an amazing smell. We enjoyed it but I felt that it was a little mild. 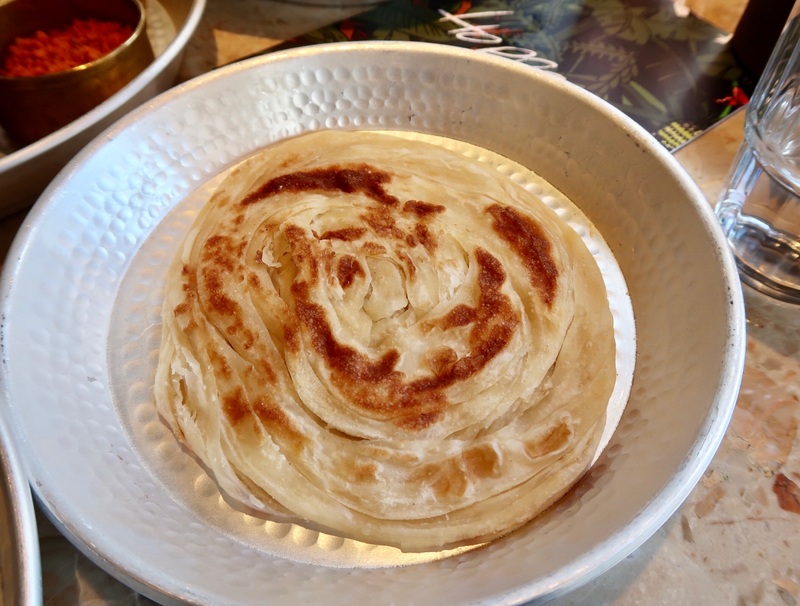 We ordered it with a flaky roti and pilau rice… both were perfect accompaniments. 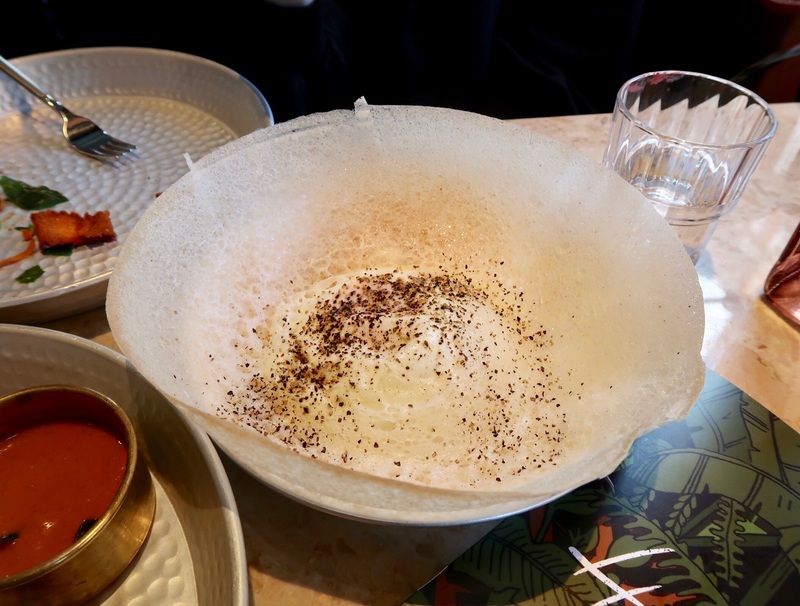 We’re so used to having curry with a buttery, artery clogging naan so having a hopper was a great and refreshing option! 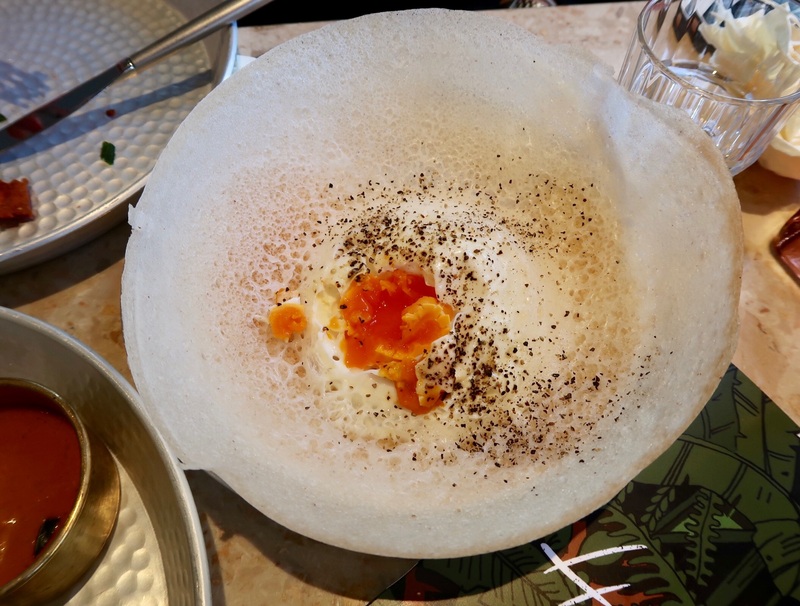 It’s a Sri Lankan bowl shaped pancake made with a fermented rice and coconut batter. It came with an egg and a generous sprinkling of pepper. It’s absolutely perfect for dunking into curry! 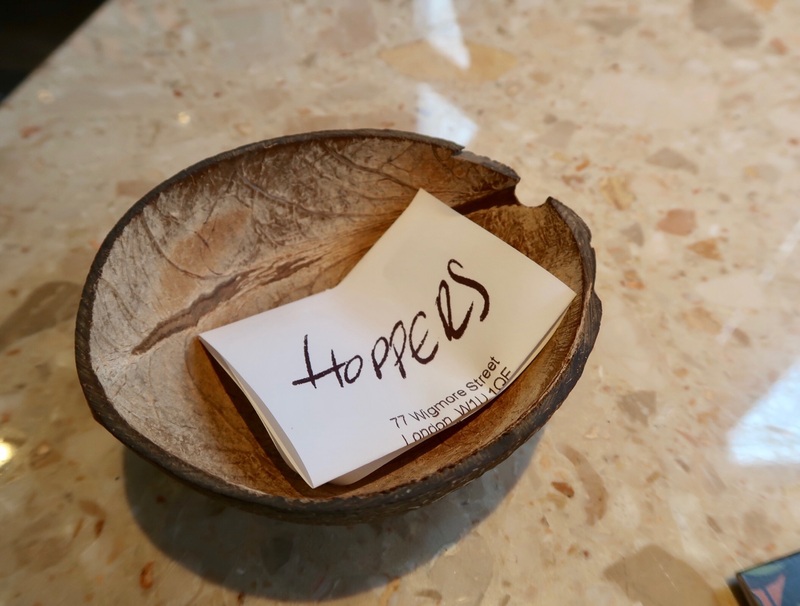 I would definitely order this… after all, you can’t come to Hoppers and not have a hopper! Address: Click here for their branch in St Christopher’s Place and here for their branch in Soho.